All the countries across the globe are racing towards becoming World Digital Superpower with the emergence of disruptive technology. This race is paving way for the cold technological war among powerful nations who want to take over the globe digitally using artificial intelligence to flourish their capabilities to make the profit and accumulate money putting other countries’ economy, military and information fields on the stake. The new axis of competition and rivalry is drawn between these nations by Fifth Generation Technology (G5) which provides the strength to countries to hope for ruling the world. The figure for investment in AI varies from nation to nation. Since 2010, the figure has increased internationally by about 60 percent. Overall global AI investments are estimated to contribute collectively $15.7 trillion by the year 2030 and are likely to reach up to $89.9 billion by 2025. The maximum number of countries are upbeat with the fact that AI technology and solutions will become the main catalyst for economic growth in the years ahead. If any country fails to lure qualitative and quantitative investments, the favorable infrastructure of a high-tech world will become just a dream. • Through planned and wise investments in different types of artificial intelligence technology, productivity and potentials of the world’s GDP can be transformed. as AI technologies help perform tasks and duties more efficiently, it can improve labor productivity. 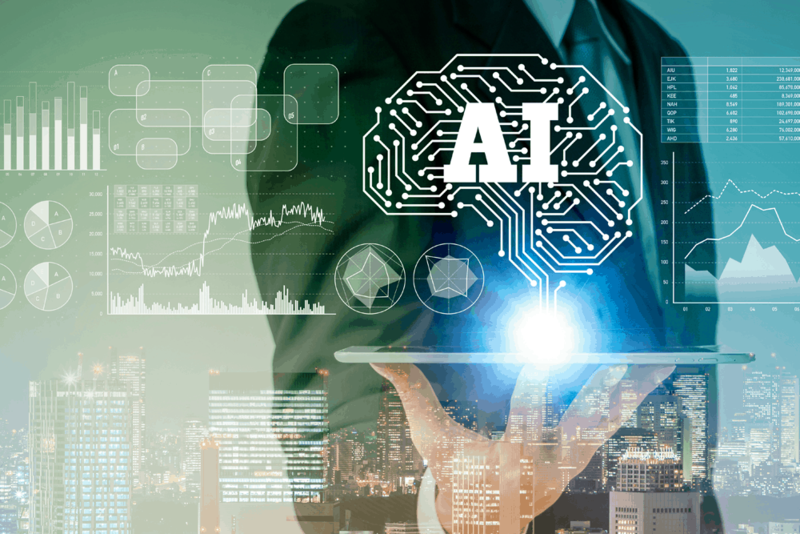 • A study reveals that up to 46 percent of total economic profits will be obtained from product improvements and stimulating consumer demand using AI by 2030. Artificial intelligence is likely to lead the greater product diversity, with hiked customization, allure and affordability over the period of time. • China will contribute 27 percent to global GDP by 2030 excelling the list as the most to benefit from artificial intelligence. On the other hand, North America will be positioned at second place with a 15 percent contribution. • AI is capable of widening gaps between nations, bracing the prevailing digital gulf, theoretically. • The requirement of diverse strategies among the countries may increase as AI implementation rates differ nation wise. • Developed nations could recover their lead over developing states by attaining an extra 25 percent in net economic gains as these nations are adopting AI at a quick pace. • The developing states are expected to cope with the challenges and adoption of new technological means in order to develop their industries and generate their GDPs by applying others’ experiences in advanced countries. • Developing nations have a favorable chance of outshining developed nations due to the aging population of the later. • In developing nations, more than 70 percent of population young having age less than 33 years. This factor can be evident in bridging the gap between developing and developed nations in the context to AI adoption. • Tech giants including Google, Baidu (Chinese), Yandex (Russian) and others are the major employers of AI applications and technology. • These moguls of the internet and technology world have made investments crossing the limit of $39 billion on technology in the past year. • The previous year, developed nations invested approximately $10 billion in machine learning technology. China has opted for the path of public investments which sums up to $7 billion per annum in AI projects. This strategic investment is an ambitious national plan to generate a $150 billion industry by 2030. Israel being the third-largest market of AI offered direct investments up to $1 billion in 2017. Same year seven Israeli-owned companies were listed among the world’s most advanced AI companies. The success depicts the coordination and in sync relationship of the Israeli army, the technology industry of Israel and the academic ecosystem. • Japan’s estimated investment in AI was approximately $1 billion in 2018. • Canada has utilized the public and private sector monetary fund to promote and establish entrepreneurship in the field of AI. It also intends to develop training, qualifications, and research under the supervision of the Ministry of Finance. • Russia’s estimated budget for AI research is $15 billion to develop countries military and civil sectors. Additionally, the European Union is in charge of the AI based development project namely ‘Horizon 2020’. • Emmanuel Macron, President of France, has announced an investment of around $2 billion euros by 2020 in the AI sector. • German Chancellor Angela Merkel confirmed in April last year that Germany’s intention to venture into AI by creating a framework for foreign investment funds led by Amazon. • The United Kingdom assigned a sum of $200 million to aid AI projects. • Spain has framed a strategy and budget allocations and has been working on drafting a white paper on AI since 2017. Considering the pace of development and technological advancements, we can conclude that if developing nations will not match the rhythm and prove themselves unsuccessful in coping with the challenges, they will lag behind in their economies and might end up following advanced societies for ages. World Superpowers can no longer be gauged by the strength of the army but rather the power of advanced technologies and smart applications deployed in every sector of the country.